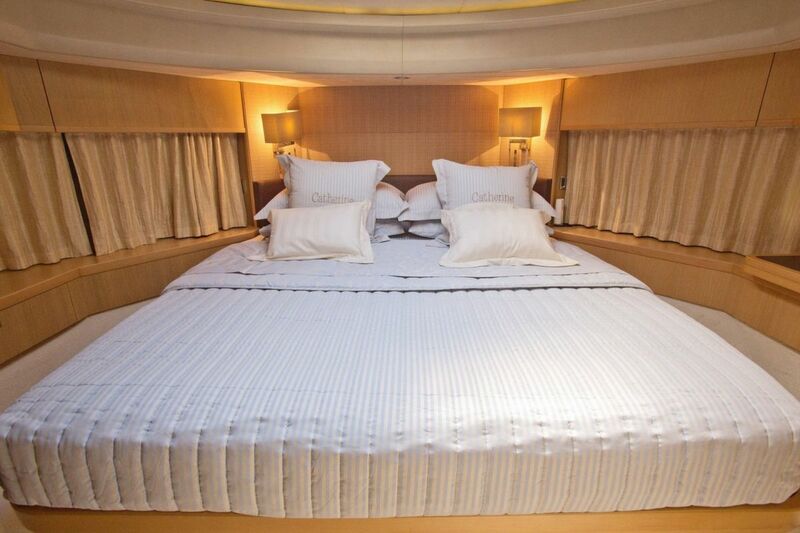 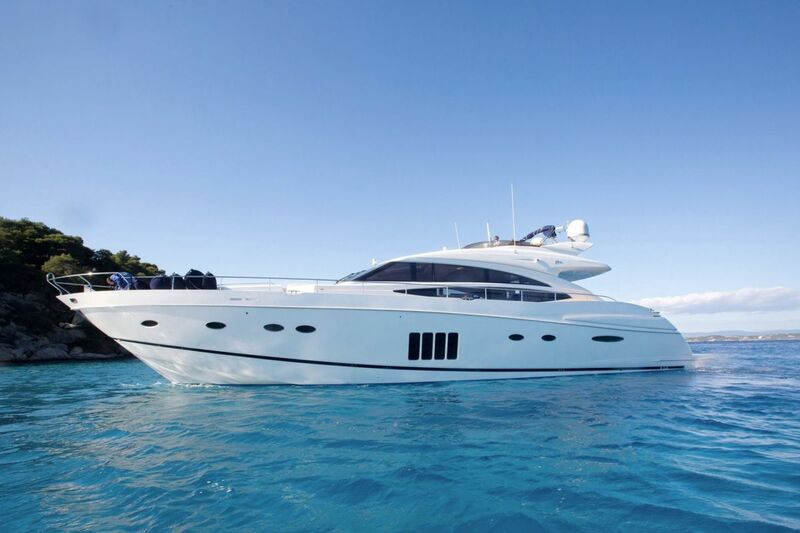 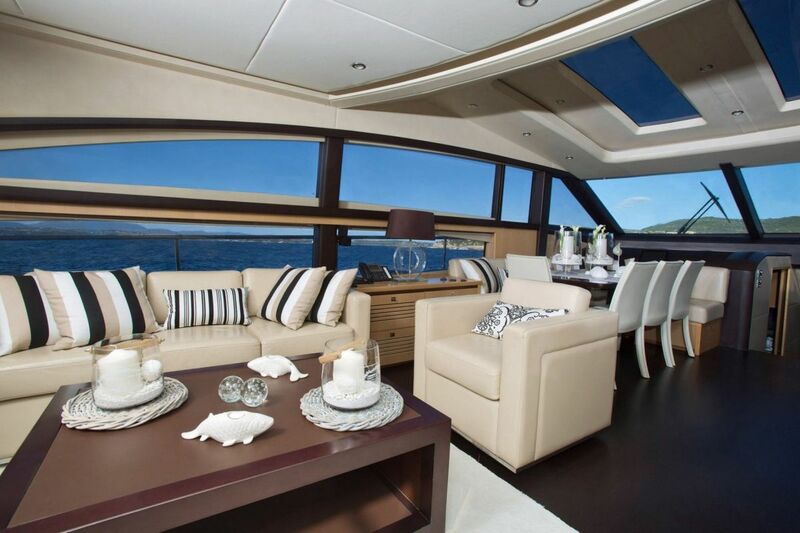 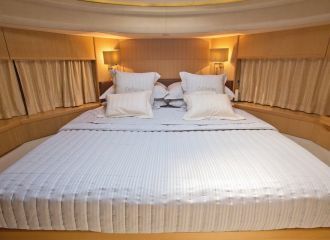 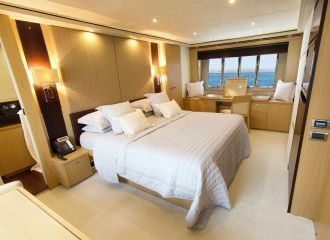 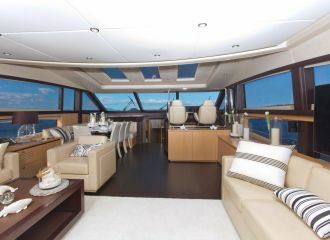 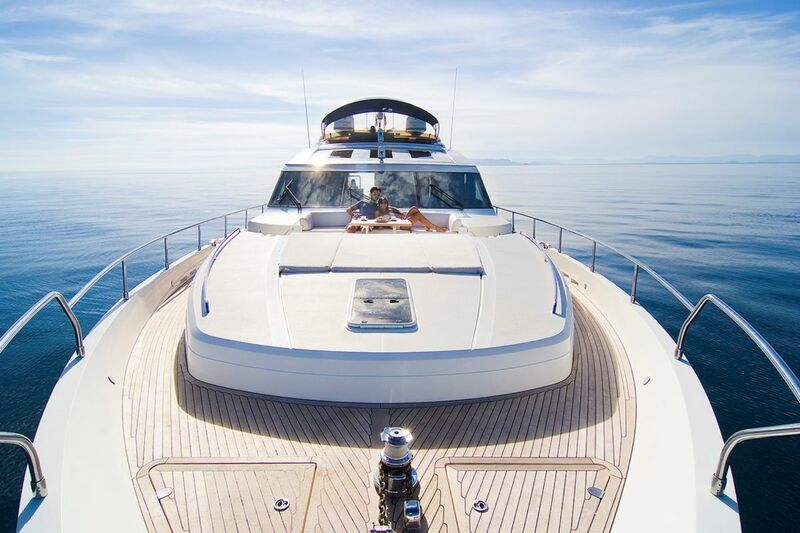 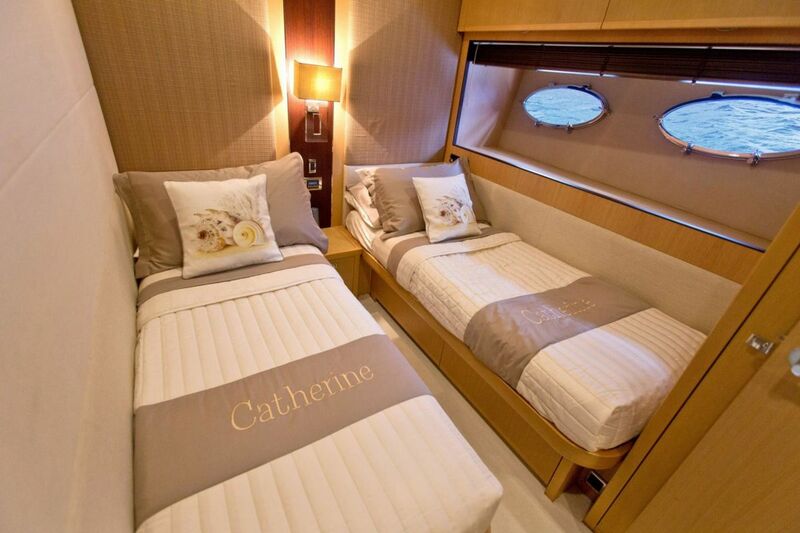 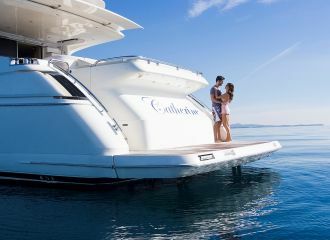 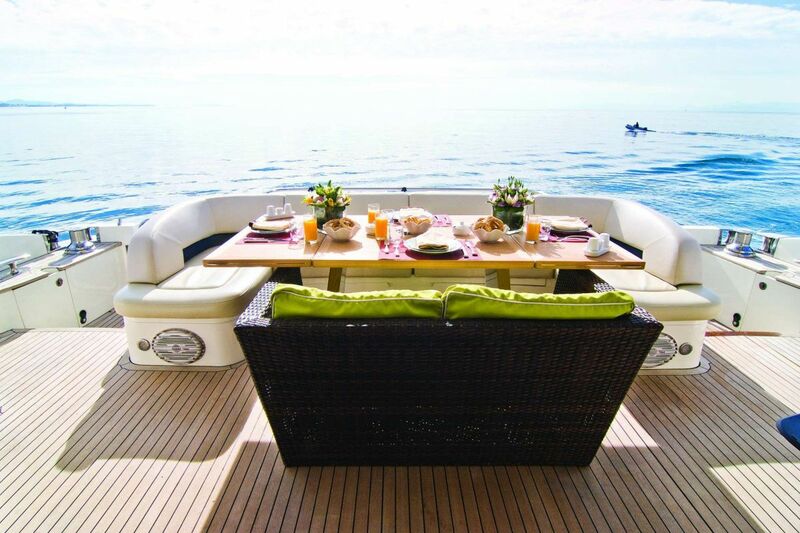 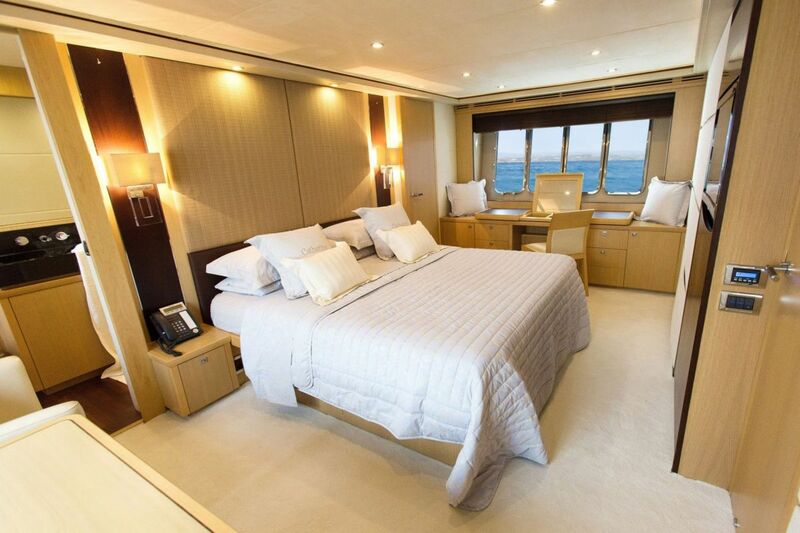 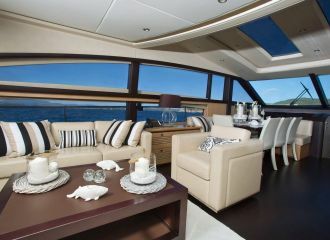 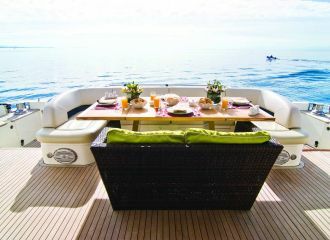 This beautifully designed Princess 85 yacht is available for a Cyclades yacht rental starting in Athens, Greece. 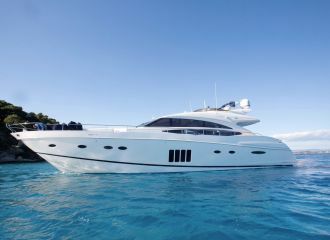 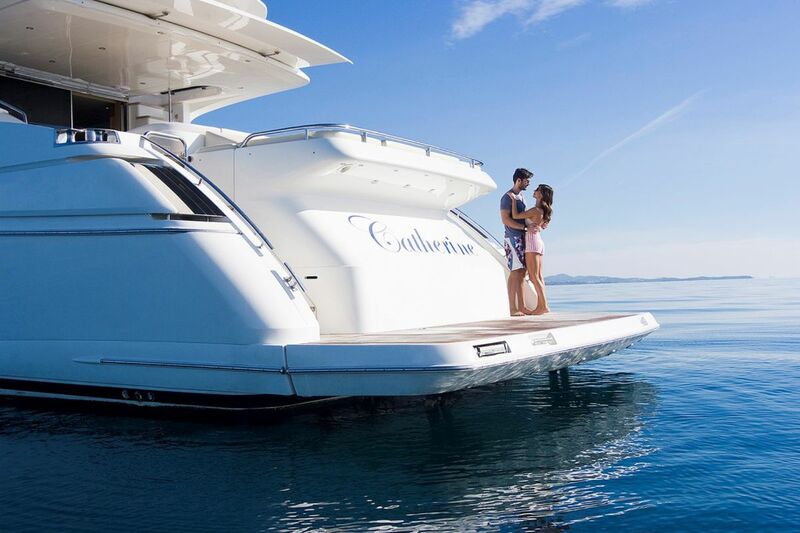 With exceptional exterior space for her size, she is the ideal charter yacht for families and friends alike. 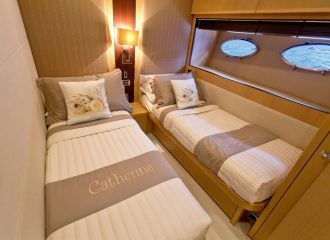 The yacht can welcome up to 8 guests onboard (10 daytime) in total comfort as you enjoy island hopping during your Greek yacht adventure. 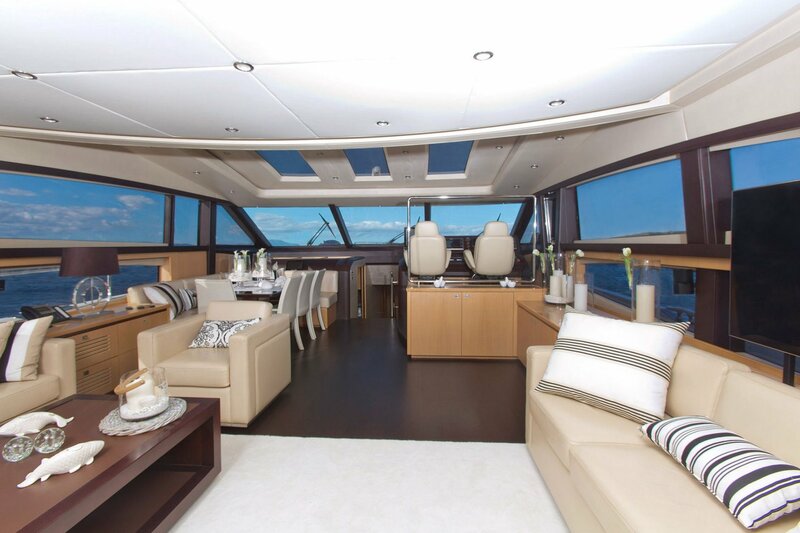 The main deck offers some great options for relaxing and alfresco dining while guests will enjoy the thrill of panoramic views from the flybridge.